In 2013 Eric Vorhees sold his gambling website, SatoshiDice, for 126,000 BTC, effectively firing the starting gun for a plethora of acquisitions and exits in the blockchain space. But this industry is not like others. As a community, we have a strong ideology and it is predicated on privacy and the power of the individual. If corporations flout those beliefs they risk alienating their user base. No wonder then, that Coinbase’s acquisition of Neutrino has caused such a huge stir, and may well be the reason you’re looking for a Coinbase alternative now. If you live in the western world Kraken is probably the best Coinbase alternative for you. Founded in 2011, Kraken provides excellent liquidity, a multitude of currency pairs and industry-leading security, making it one of the best cryptocurrency exchanges around. Kraken has implemented volume-based trading fees, incentivizing account holder to trade larger volumes in order to enjoy lower fees. That being said, the exchange charges reasonable fees regardless of the trading amount and offers a number of cool features to help you trade like a professional. That shouldn’t dissuade casual crypto fans, as Kraken offers a decent user experience which is relatively easy to get the hang of. Once you’ve spent 5-10 minutes studying your dashboard, the rest is pretty straight forward. Additionally, Kraken offers industry-leading security and customer support – especially for OTC trading. Here you can expect quick replies and sophisticated checks and balances, such as email verification, 2FA through Google’s authenticator APP, and emails corresponding to account activity. 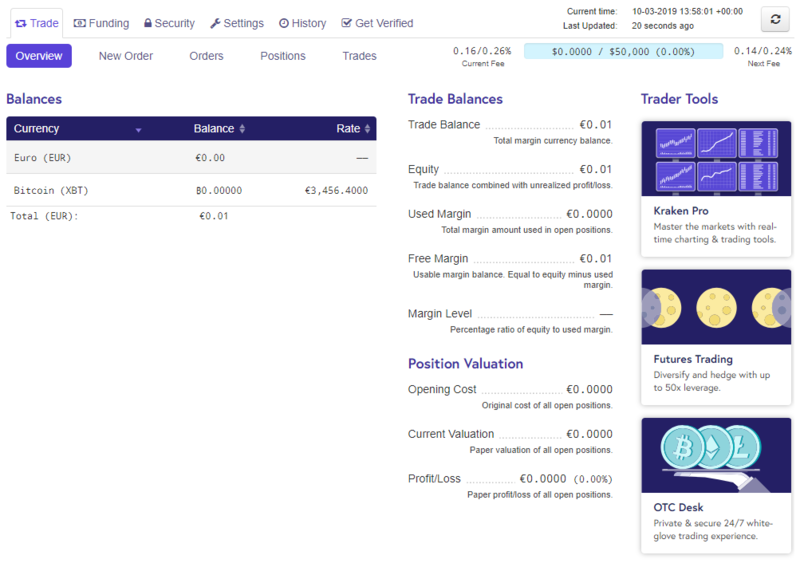 Importantly, Kraken is a trading platform, meaning that someone needs to buy your sell order for the trade to go through. This is an important difference to Coinbase where instant crypto exchanges are part of the service. Typically sell orders are matched quickly but delays are not uncommon especially on Sundays. Kraken also has a stricter KYC procedure than Coinbase, especially if you’re planning on trading larger amounts. Here you may require tier 4 security approval, which involves filing a customer support ticket and providing extensive documentation. That being said, you can expect a response very quickly and this step is about as frictionless as possible under the circumstances. Once all is said and done, Kraken has built an excellent exchange platform for retail and institutional users, making it the best Coinbase alternative around. You can think of Coinbase as a store and think of Binance as a Mall. What I mean by this is that Binance strips away all the constraints of Coinbase and instead tries to offer everything. Where Coinbase offers an intuitive user experience that is full of big buttons and bright colors, Binance is a dark, chaotic and confusing experience. Nevertheless, it is one of the best Coinbase alternatives around for a number of reasons. The first and most important is the incredible diversity of currency pairs. Binance offers over 80 cryptocurrencies and new ones are being added regularly. Binance users also enjoy a very simple fee structure. Specifically, there is a 0.1% fee on all trades and zero deposit or withdrawal fees. This is almost unique in our list of Coinbase alternatives and is one of the biggest advantages of using the exchange. Just like Kraken, Binance is a trading platform that does not offer instant exchanges. Instead, you need to wait until your order is filled, but the liquidity on Binance is so high that orders are matched almost instantly. Unlike Kraken, Binance does not allow fiat deposits or withdrawals. This is a significant disadvantage and is the primary reason why Kraken ranks ahead of Binance in our comparison. For crypto newcomers, this means that you will have to find another platform which provides crypto to fiat exchanges. Although the lack of fiat currencies might seem perplexing, this allows Binance to operate globally. Whereas Coinbase and Kraken are limited to certain countries, Binance is available to everyone and is one of the key reasons for its incredible success. Finally, Binance provides users with strong account security, requiring 2FA, email verification and account activity emails. If Kraken does not cover your country of residence or you’re turned off by the rigorous KYC process, Binance is a very good alternative. CEX is an excellent exchange which would have been higher up the list if it wasn’t for the relatively high fees. Indeed, the platform was founded in 2013 and has since become one of the world’s biggest cryptocurrency exchanges. Importantly, it prioritizes user experience, offering a clean, easy interface which is perfect for crypto-newbies. The onboarding flow is the best in the industry. Whereas Binance, for example, tells you to figure it out on your own, CEX holds your hand, guiding you through the KYC procedure and then adding a payment method. Like Coinbase, CEX provides a brokerage service that allows instant Bitcoin purchases – although the 7% fee is hard to swallow. Compared to Binance, it also takes much longer to set up an account and actually begin to trade. This is inevitable for a platform that abides by strict KYC and AML requirements, and you could argue that it’s faster than Kraken. 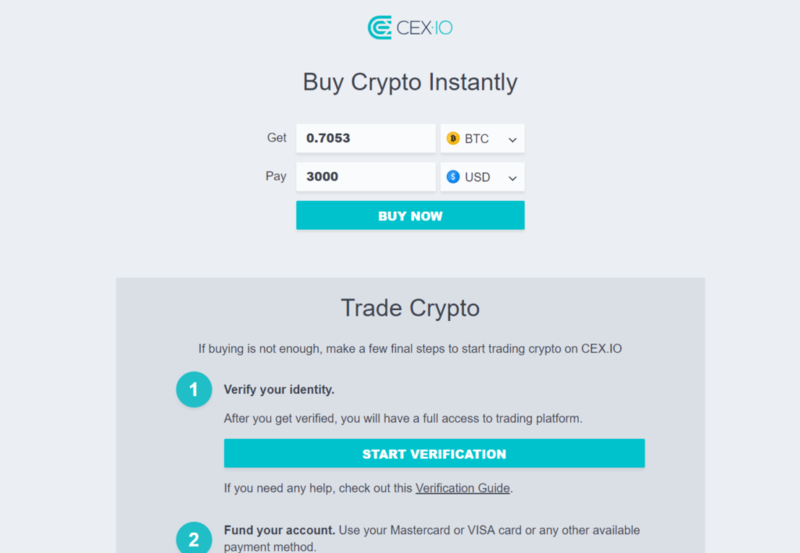 CEX is also a good alternative for sophisticated traders, as the platform offers limit orders, margin trading and a trading AP, as well as advanced reporting. Lastly, CEX actually offers more fiat currencies than Coinbase, accepting not only EUR, USD and GBP but also RUB. With this in mind, make sure to check out CEX if you’re looking for an excellent Coinbase alternative. LocalBitcoins is one of the original peer-to-peer Bitcoin exchanges. Unlike the other platforms listed so far, LocalBitcoins provides an escrow service and pairs you with a fellow user. When you want to buy some Bitcoins, you enter your order and filter through a list of active sellers. As a result, the experience of exchanging crypto on LocalBitcoins is more akin to eBay than it is to the other platforms listed. Naturally, this has both advantages and disadvantages. On the plus side, LocalBitcoins is a marketplace that offers much more diversity than other platforms. To illustrate this point, simply look at the vast number of payment methods eligible on the platform including Skrill, Gift Cards and PayPal. For newcomers, the simple dashboard – devoid of trading charts and flashing numbers – is reassuring. The instructions are easy to follow and setting up an account is quickly done. On the downside, buying and selling Bitcoins is quite a manual process. Once you’ve found a seller, the next step is to read their terms of service and then open a trade request. This often involves a to and fro with the counterparty to discuss the details of the trade and then paying into an escrow in order to trigger the trade. Compared to Coinbase this is quite an arduous process, although LocalBitcoins makes up for it with lower fees and less centralization. Based in the Czech Republic and founded in 2013, Changelly somehow still feels like a bit of a newcomer to the world of cryptocurrency. Maybe it’s because Shapeshift was so dominant for so long, that Changelly managed to fly under the radar and quietly build an excellent exchange platform. Indeed, Changelly now offers minimal fees, global coverage, and over 130+ cryptocurrencies. Trading on the platform is very simple and does not require KYC. Instead, it’s just a matter of registering, entering your trade of choice, providing your Wallet address and sending the funds to an escrow. Changelly then uses a sophisticated trading algorithm to hook into large exchanges like Binance, Poloniex and Bittrex to find the best available rates and fulfill your order. Of course, Changelly levies its own fees, namely 0.5% per trade and 5% for credit/debit card purchases. Compared to Coinbase these fees are very reasonable and are some of the best in the industry. Additionally, Changelly does not require users to pass through a typical KYC procedure and instead only asks for a valid email address. On the downside, Changelly has a very low transaction limit for card payments. Cards from the US, for example, will have a $50 limit on the first payment, meaning you need to “build up” your limit over time. Most of us don’t have the time for this, which is why Changelly only comes in at number 5. If like me, you are worried by the acquisition of Neutrino and have become wary of Coinbase, this list shows that there are plenty of excellent alternatives available. Did we miss one? Let us know in the comments or visit our exhaustive guide to buying crypto.